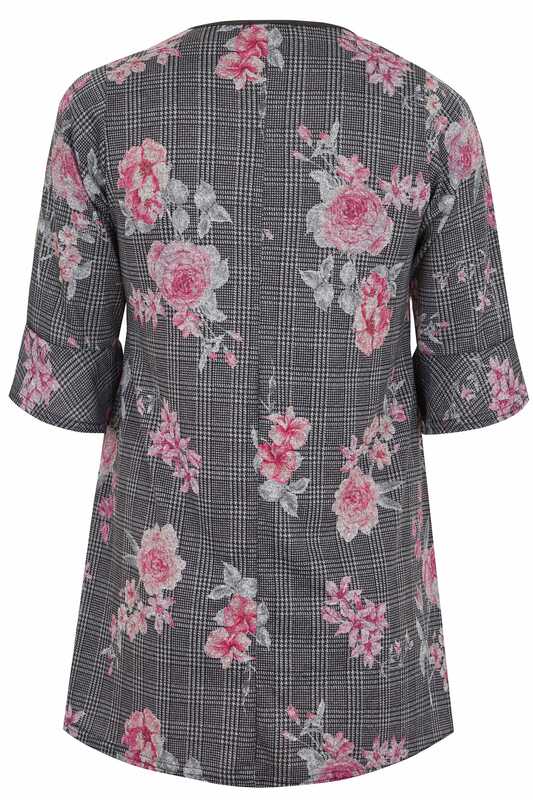 Add a hint of colour to your off-duty wardrobe with this longline top. In a shape flattering swing style, it features a v-neckline with a PU trim and flute sleeves for an on-trend finish. Team with dark denim and flats for everyday appeal. 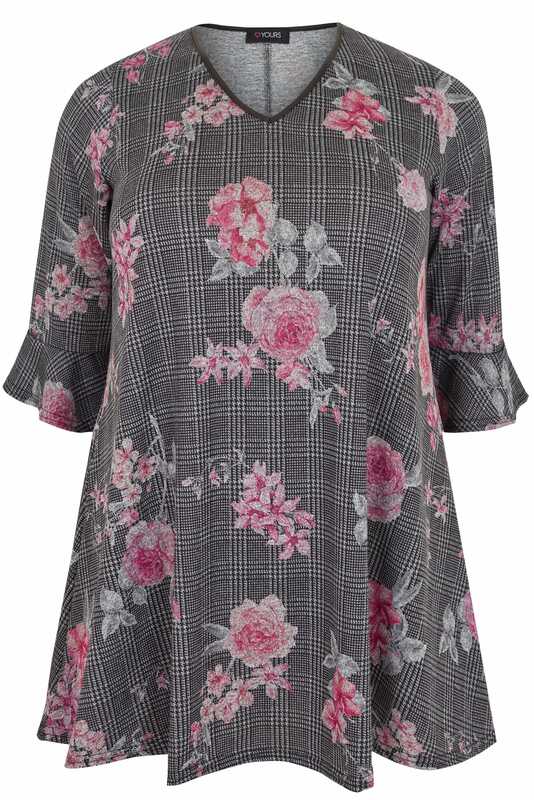 We love its checked print with contrasting pink floral details.